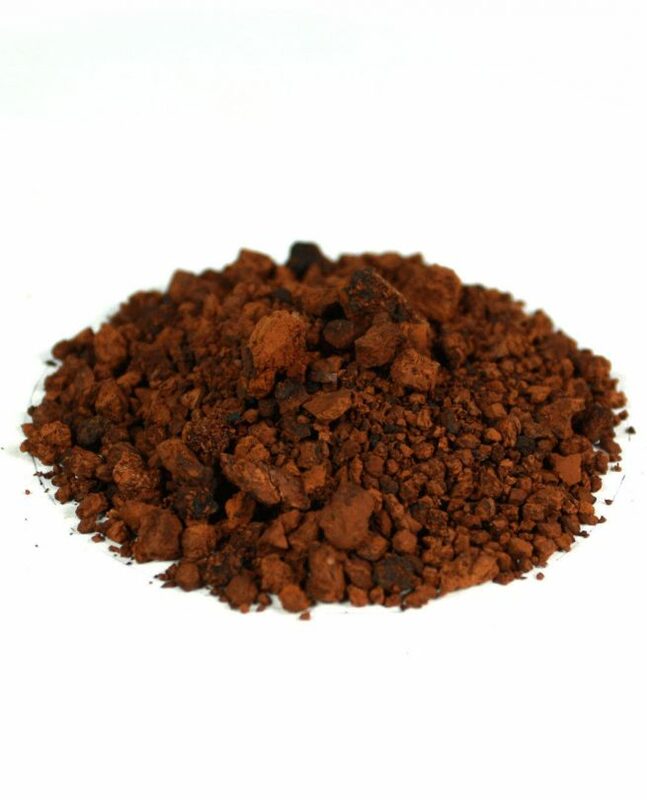 Eleuthero, known as Siberian ginseng, nearly parallels chaga tea benefits in its worth as a significant adaptogen. Eleuthero and chaga together create an earthy, sweet tea that provides high antioxidant levels and protection against stress and aging. 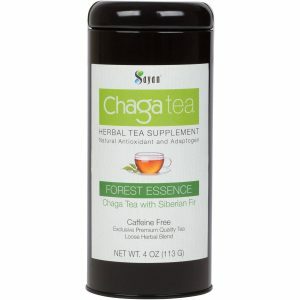 Combining the antioxidant-rich qualities of the chaga mushroom with the powerful adaptogenic properties of Siberian Eleuthero eleuthero (Eleutherococcus), this elixir may help you combat stress and increase your overall health. * The taste is bold and complex with an earthy, rich sweetness. 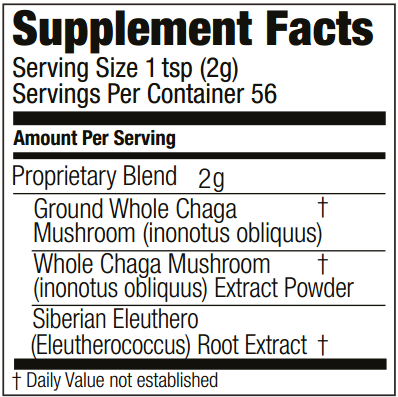 Ingredients: Ground Chaga Mushroom (Innonotus obliquus) Powder, Siberian Eleuthero (Eleutherococcus) Root Extract, Chaga Mushroom (Innonotus obliquus) Extract Powder. 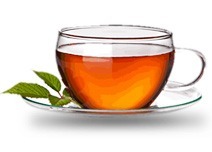 Place 1 teaspoon of tea in an infuser or teapot. Combine with 8 ounces of boiling water, and steep for 2–3 minutes. Add honey or sugar to taste. 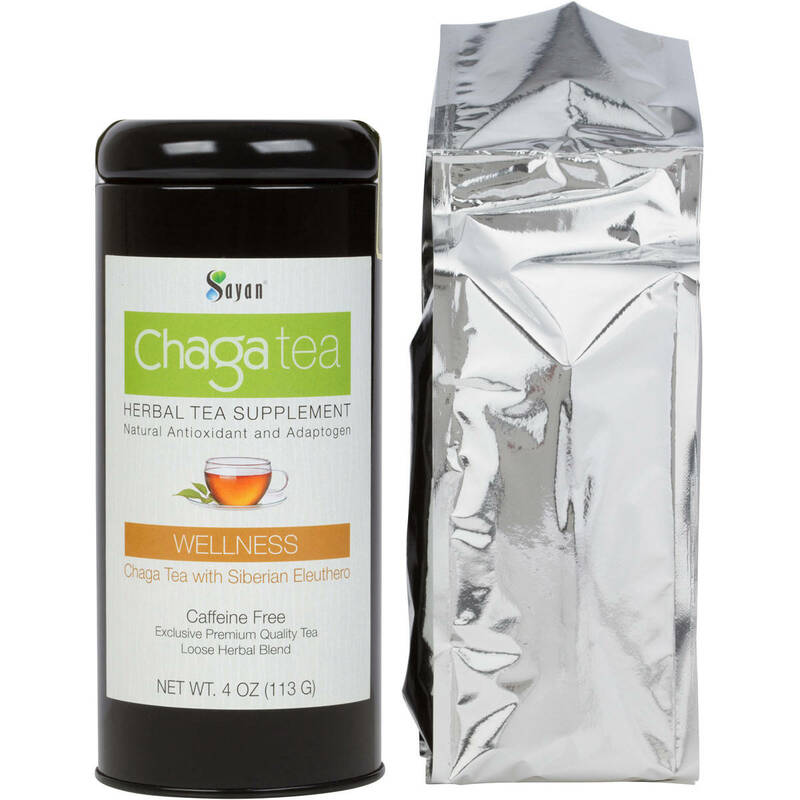 Ideal for tea enthusiasts and health-conscious people of all ages, chaga mushroom tea with eleuthero benefits is also gluten-free and vegan-friendly. 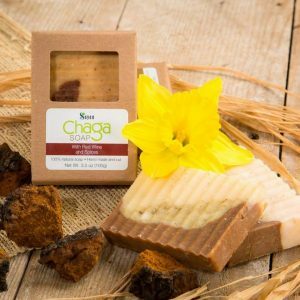 Both chaga and eleuthero share a deep connection with Siberian medicinal tradition. 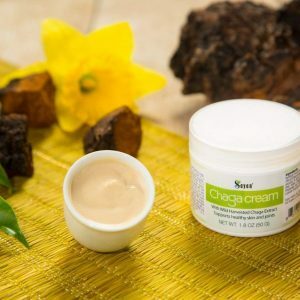 For thousands of years, locals in the Sayan Mountains picked chaga mushrooms from birch trees and ground the fungi into a tea that they prized for its wealth of health benefits. Is eleuthero that valuable? Yes, it is, and when combined with chaga, the “Gift from God,” you have a combination fit for a royal degree of health and longevity. 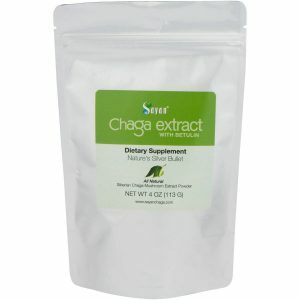 Today, both chaga and eleuthero are quickly gaining respect and recognition throughout alternative health circles and mainstream medicine. 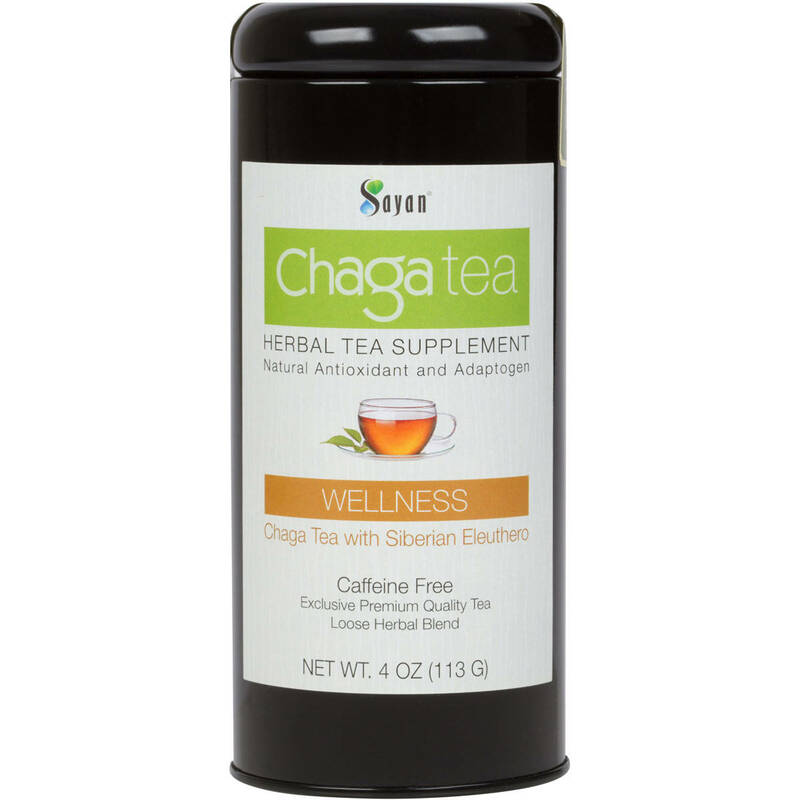 Why Choose Sayan Health Chaga Mushroom Tea? We bring two of the most valuable natural substances from Siberia all the way to your doorstep, giving you access to traditional ancient medicinal teas right in your pantry. Sustainably harvested amid the pristine growing conditions of Siberia’s cold climate, our ingredients are so fresh you’ll swear you can smell the Sayan Mountain birch forests. 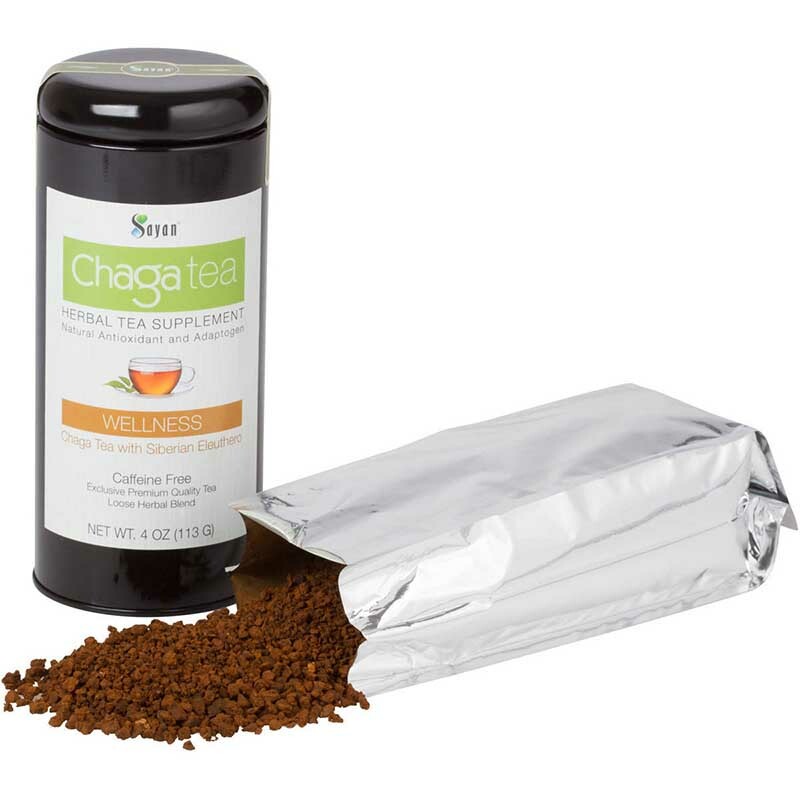 As the only company on the market offering pure chaga exclusive tea blends with chaga raw and extract, we employ a low-pressure hot water extraction method and sublimation freeze-drying process. Using absolutely no fillers, GMO substances, or chemicals, our chaga experts are here to make sure each tea package meets our highest standards. I just drink it in boiling water, and I think it’s really good. Find this to be the smoothest and more relaxing, really enjoy drinking this.